In late March, Shopify and MailChimp announced the ending of their partnership. 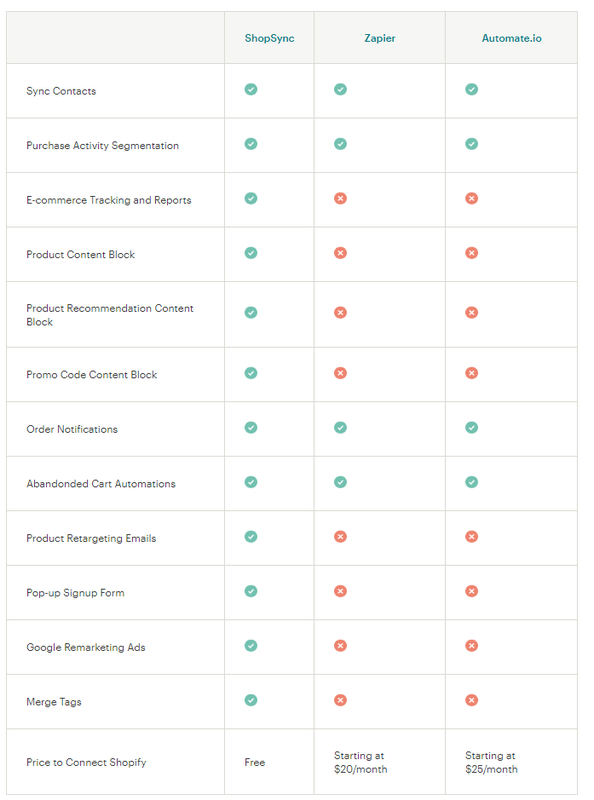 Shopify alleges that MailChimp refused to respect the Partner Program Agreement. The PPA requires all of Shopify’s partners to supply metrics that help merchants successfully operate their businesses. “It’s critical for our merchants to have accurate, complete insight into their businesses and customers, and this isn’t possible when MailChimp locks in their data. Specifically, MailChimp refuses to synchronize customer information captured on merchants’ online stores and email opt-out preferences. As a result, our merchants, other apps, and partner ecosystem can’t reliably serve their customers or comply with privacy legislation. Although the split appears less than amicable, Shopify and MailChimp have agreed to let the integration continue for existing users until May 12, 2019. After that date, merchants will need to find a new email marketing tool or set-up a third-party integration. So, what’s the best course to take prior to the May 12 dis-integration? Educate yourself about the other available options. Assess which option is the most cost-effective and the least labor-intensive for your specific business. Move forward with the option you choose at least two weeks ahead of the May 12 dis-integration to ensure everything works properly. Give yourself plenty of time to test the integration so your business doesn’t skip a beat if there’s a hiccup in the new integration. With the above-shown free and low-cost options, the split between MailChimp and Shopify should have minimal impact on merchants. But do plan ahead and be ready for the change before May 12, 2019, which is right around the corner.